This is a funny design, and what makes it great is the word shamble. It’s not a zombie run, or zombie walk. 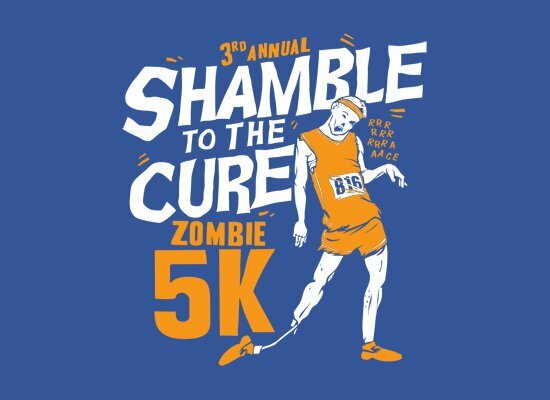 It’s a zombie shamble, and that’s awesome. The bones sticking out always kind of gross me out, but this particular character seems to be alright. After all, he is calling this a race in his own special slurred speech way.